More people are moving throughout Arlington County, Virginia without additional automobile congestion. Over the past 15 years, Arlington’s arterial roads have had less traffic, while transit usage during the same period of time has increased 34.5 percent. As transit service has grown, customer satisfaction has increased, especially on the county’s ART buses. These statistics were highlighted this week by Dennis Leach, Arlington’s director of transportation in the Department of Environmental Services, in a presentation to the county board (see Leach’s slideshow below) of the county manager’s 10-year Capital Improvement Plan (CIP). He said investment in transportation has resulted in a sustainable and economically competitive Arlington. The proposed CIP plans for investments of $1.372 billion for transportation projects over a 10-year period. The FY 2015 – FY 2024 CIP was above the $981 million proposed in a CIP two years ago. The most significant increase was the Columbia Pike/Crystal City Streetcar (a $169.5 million increase since FY 2013). Leach called the revised cost estimates for the streetcar “very conservative,“ incorporating not only a higher contingency percentage, but also a higher inflation rate. 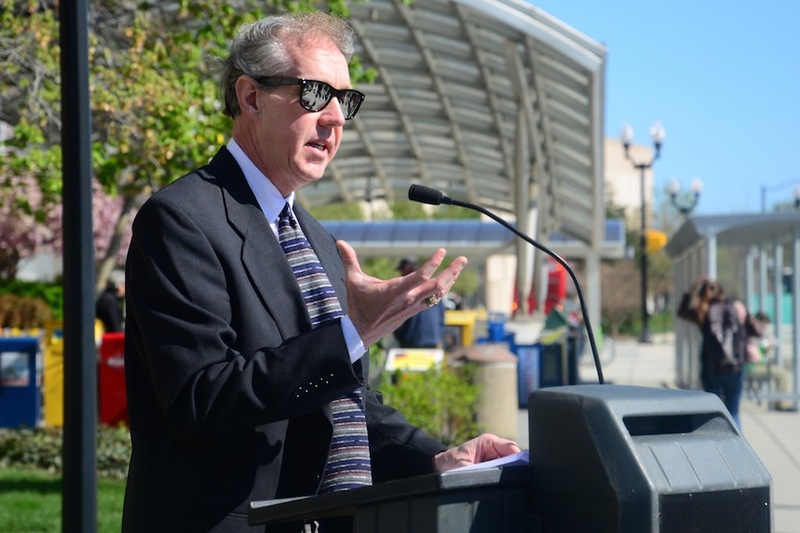 Adoption of the streetcar portion of the CIP, according to Leach, is vital for Arlington to keep pace with population growth that is projected to take place in the county. Columbia Pike’s population is projected to increase at not only a more rapid rate than anywhere else in the county, but is projected to become the most highly populated Arlington corridor by 2040. The streetcar is projected to create a minimum of $3.2 billion in net real estate value for Arlington and Fairfax counties over 30 years (far above its projected cost), and to produce 6,600 new jobs within 10 years. The majority of Arlington’s capital projects use more than one funding source (see the below Transportation Funding 101 slideshow), including federal and state funding, tax revenues, general obligation bonds (used for projects with a long life span, such as transit), and developer contributions from the county’s site-plan process (such as those that paid for a portion of the Rosslyn Metro improvements). A discussion of the risk of seeking federal dollars for the Columbia Pike portion of the streetcar, however, led Board Chairman Jay Fisette to ask Leach for an alternate streetcar funding plan that does not involve federal dollars or general obligation funds. Board Member Mary Hynes also expressed displeasure with the Federal Transit Administration (FTA) funding process. The proposed CIP funds 49 percent of the Columbia Pike streetcar’s cost from federal funds. A majority of the county board recently stated their opposition to a county referendum on the streetcar. In addition to the ongoing CIP discussions, Arlington recently adopted its 2015 budget, and issued $65 million in new general obligation bonds.